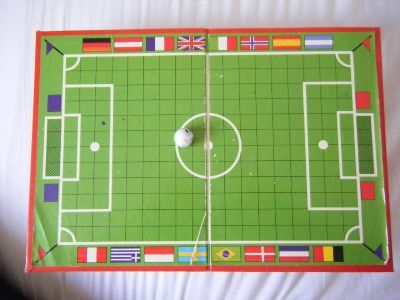 Another version of the original game Penalty also marketed as Gazza at one time. 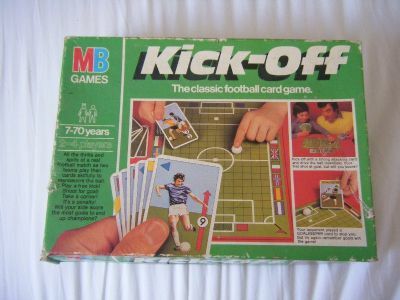 A classic football card game with grid pitch. 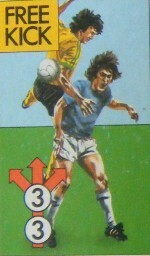 As kids we added player numbers to each card so you could attribute each goal to a player in your team. Click on the images below to see larger ones. 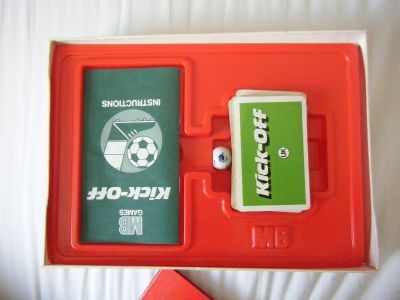 Bright and colourful with images of the game on it. Each player can choose from 5 cards which one to play at any time. If you can get the ball into the goal and the other player does not have a keeper card then its a goal.